Pakistan has been a lucrative market for low-priced high-performance smartphone makers. As a nation of over 200 million people, mobile technology is slowly but steadily penetrating in the region. The country has recently embraced 3G/4G technology which has given promising results leading to more foreign investment and local partnerships with multinationals and manufacturers. Talking of low-priced smartphones, Xiaomi has been making headlines again and again with its own line of smartphones and phablets. 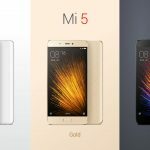 Although eCommere giants like AliExpress and GrearBest have been shipping Xiaomi smartphones to Pakistan but there have been certain country specific functions that were not compatible with the Pakistani standards. This compatibility issue has resulted in many returns and even smaller eCommerce outlets disagreeing to return or exchange the purchases. But the pain is finally over now. A relatively new Pakistani eCommerce platform called CheezMall will be officially bringing Xiaomi smartphones to Pakistan. These smartphones, will not only be compatible with the Pakistani standards but will also offer highly competitive rates. The Islamabad based CheezMall has already been exclusively selling Lenovo ZUK Z1 to the smartphone consumers in Pakistan. Xiaomi has recently released Xiaomi Mi5 with specifications challenging those of high-priced smartphones of the same category like Google Nexus 6P (made by Huawei), OnePlus 2 etc.